Stop Smoking Derby | Are Stop Smoking Aids a Con? Is it easier to stop smoking than you’ve been told? If you’ve tried (and failed) before to stop smoking.. to kick the habit… to wave bye bye to a smoke filled life- then you may be surprised to heat that it probably wasn’t your fault you didn’t succeed. As it turns out, all is not as it seems in the world of ‘smoking cesation’. You’ve probably heard that in order to quit smoking, the main thing is the crippling withdrawle symptons from nicotine. You’ve heard how tobacco, or more specifcally the nicotine in it, is so highy addictive that there is just no way you’d be able to quit smoking without nicotine replacment… without slowly weening yourself off. But, I have news for you! You’re being hoodwinked! All of these manufacturers of pacthes, and gum, and vporisers, and goodness knows what what you to be reliant on them. More than this, the tobacco companies what you to believe that quitting smoking is too much like hard work, and to just not bother. How Much Is The Stop Smoking Industry Worth? Here’s the thing: the industry of ‘Smoking Cessation‘ is worth around 1 BILLION dollars in the US alone. So, as you can see there is a lot of money in maing you think you need aids to help you kick the habit. But here’s the thing, not even taking into account cigarettes theere have been new, scientific studies and plenty of research that shows that ‘addiction’ overall is rarely about the chemicals and mostly about lifestyle and habits- which of course, you can control. In fact, it is continuing to use the gum, or the patches or whathever other form of nicotine replacement you may have used that is actually keeping you hooked on the cigarettes. As oppose to helping you come off them. So, What’s The Best Way To Stop Smoking? If you are ready to quit, and fed up of failing then maybe it’s time you approached things in a whole diferent way. Seeing as it’s becoming increasingly clear that the addicition to smoking is mostly a psychological, habit based additiction (i.e. an addiction mostly only exisiting in your mind) then it would make sense to address the habit from your mind outwards rather than pumping yourself full of Nicotine in the hope of somehow no longer wanting it. So, how can you do that? 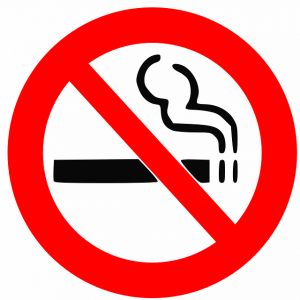 You may think that stop smoking hypnosis is a load of old tosh. But the reality is it has been proven to be highly effective when it comes to weight loss, drug addiction, quitting smoking and a whole lot more. In fact, the largest ever study into the effects of hypnosis when trying to stop smoking discovered it’s 3 times more effective than a nicotine patch and upto 15 times more effective than willpower alone. And, just to be clear this study (Carried out by the University of Iowa, 1992) looked at more than 70,000 idividuals trying to quit smoking from the US and across Europe. Hynosis was clearly the most effective way to quite, and to stay off the cigarettes. But, beware that not all hypnosis is the same. Before booking in with any hypnotherapist be sure to speak to them, ask them about their training, their success rate. What is their style? And, if you’re feeling cheeky- ask them if they currently smoke. If they do- then are they really as good as they say at helping others quit. Let’s be honest who really WANTS to smoke-as a grown up? If you’re based in the Derbyshire area, or don’t mind traveling you may be interested in my ‘No Butts! Just Stop’ stop smoking program. This is far more than your typical hypnosis session, and is about making you feel powerful, fabulous and in control. Through my Derby Stop Smoking program you have the chance to become a non-smoker in just 90 minutes. Click on the link for more info, or simply fill in the form below, and I’ll call you back myself, for a free consultation. Wayne Dharana is a Renownd Rapid Ressults Hypnotist & Coach who helps take his client's lives to the next level. Specialising in working with Entrepreneurs and Success Driven Inidividuals Increase their success, and smash through barriers- Wayne is also avalible to offer one to one coaching to help a limited amount of clients in the U.K. Lose Weight, Stop Smoking, Lose weight & Generally 'Be The Warrior'!